Today saw the playable premier of the newest game in the Ace Attorney series at the Tokyo Game Show —and it seems the dead just can’t seem to leave Phoenix and his trials alone. 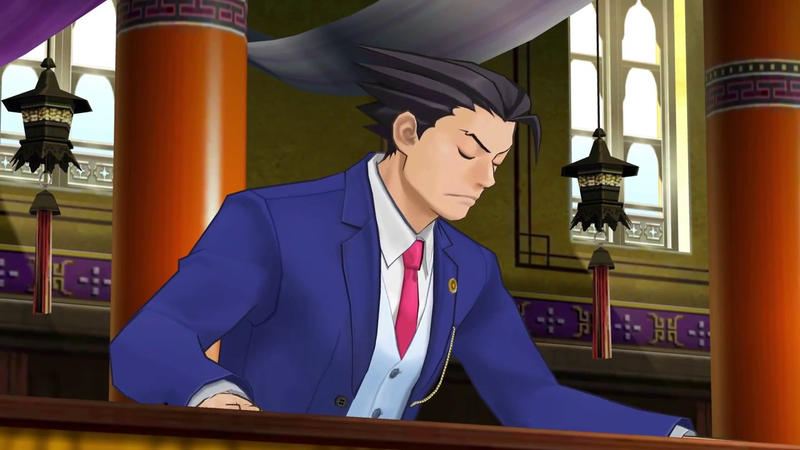 The demo for Ace Attorney 6 once again follows our defense lawyer hero Phoenix Wright. This time, he is not in “Japanamerica” but is rather visiting the ambiguously oriental fictional country of “Kulain.” However, when Phoenix’s child tour guide, Bokuto, is accused of theft and murder, Phoenix must step in to defend him when not another single other person in the country is willing to take the case. Soon it becomes clear why: In Kulain, spirit mediums are used to find the guilty. Therefore, Bokuto has been arrested because the victim saw himself murdered by him. However, this is far from Phoenix’s first rodeo with spirit medium testimony—and he knows through experience that even the dead can be wrong. After doing the usual using-evidence-to-prove-a-contradiction, we are introduced to Phoenix’s rival for the game: Kulain’s princess and spirit medium Leifa Pandoma Kulain. In a pool of water in the middle of the court room, Leifa is able to show the court the victim’s final moments—including what they remember hearing and thinking about. Thus enters the new trial mechanic for this Ace Attorney title: Spirit Vision. You are able to watch this vision again and again to find (and point out) the things about the vision that don’t make sense. Of course, Leifa is far from happy to have you poke holes in her interpretation of her visions. Will Phoenix be able to prove her wrong numerous times until she finally gives in? Will Bokuto be proven innocent? Has Phoenix found a trial system more messed up than Japanamerica’s? Find out sometime in 2016! Ace Attorney 6 will be coming to Japan in 2016. A Western release is also planned.